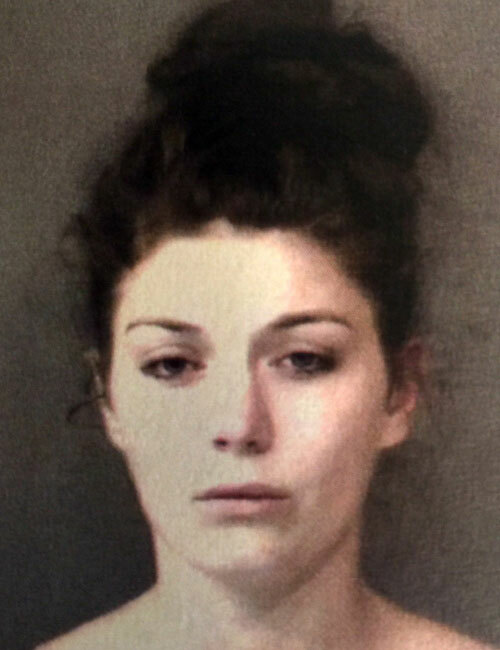 WARSAW — Arista Ann Butcher, 23, 4031 N. Old Port Road, Warsaw, was taken into custody, Sunday, June 5, and is being charged with possession of a narcotic drug, a level 6 felony; possession of methamphetamine, a level 6 felony and operating a vehicle while intoxicated, a class C misdemeanor. On April 6, Officer Joseph D. Bumbaugh, of the Winona Lake Police Department, responded to a complaint of an older, white Cadillac sitting in a residential driveway. By the time Bumbaugh arrived the Cadillac had moved from the driveway and was parked on the side of the road near the resident’s mailbox with the motor running. The female subject was identified as Butcher, whose driver’s license was suspended. Bumbaugh stated he recognized the name of the male, Brandon Carpenter, as being involved with drug activity. Warsaw Police Officer Travis Shively brought his K-9 to the scene to conduct an outer area search of the Cadillac and the dog alerted Shively of possible drugs in the vehicle. Butcher admitted there was Xanax and heroin in the vehicle and that she had injected heroin approximately two hours before Bumbaugh showed up. The officers searched the vehicle and found digital scales and four used cotton balls. In Butcher’s purse officers found a yellow pill identified as Clonazepam, a schedule IV controlled substance and a plastic bag containing a residue. Butcher admitted the yellow pill was indeed Clonazepam and that she did not have a prescription for the drug. She told the officers the plastic bag was her meth. Butcher said she and Carpenter had five or six bags of heroin and were going to trade another person the heroin for Xanax. When officers searched Carpenter subject they found a plastic bag in his pocket and four plastic bags in his shoe that field tested positive for heroin. Butcher was transported to Kosciusko Community Hospital where she voluntarily took a drug screen. The drug screen was sent to an outside lab for testing. It was found that Butcher also had two warrants from the Kosciusko County Courts. Butcher is being held on a bond of $5,250 surety and cash.